Need iPhone 6 repairs Melbourne CBD? Walking round the Melbourne CBD and dropped your phone? Got caught in the rain on your way to work? Come see us at Fixspot - located right in the heart of Melbourne CBD. Our offices are just a short 5 minutes walk from the Flinders Street Train Station. We are located on Swanston Street, right in the middle of Melbourne's vibrant and beautiful city. We know how important these products are to our customers. As well as being expensive, many important aspects of our lives are stored on our phones, and not having your phone on you can be hindering. Thats why at Fixspot, we promise to fix your phone on the spot. We offer repair times of 3o minutes or less for minor repairs. You'll barely have time to miss it. As well as fast repair times, we also offer the lowest repair prices in all of Melbourne. Combine this with the high quality of our repairs, and our service is unbeatable. We also offer a repair by post service if you are unable to make it into Melbourne CBD. This service is available to everywhere in Australia. 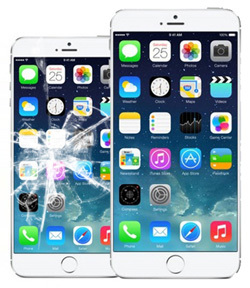 If you need further information on our iPhone 6 repairs Melbourne CBD, please don't hesitate to contact us.